Many Australian businesses are trying, or increasing their use of, online advertising - and search marketing in particular. We're always looking for ways to make it easier and quicker to implement and manage campaigns using AdWords. Back in November, we asked a small group of US advertisers to start testing a new web interface for AdWords while it was still early in development. The new interface makes AdWords campaign management faster, clearer, and more intuitive. This means making it easier to find the most important keywords across your account, speeding up account navigation and editing to save you time, and making reports both more accessible and quicker to act on. We've continued to work on the new interface for the last few months, making changes based on feedback from beta testers. Now we're excited to offer this beta to advertisers in additional countries, including Australia and New Zealand. * Performance graphs: Spot trends over time with custom graphs on every campaign management page. * Insight across ad groups: Focus on the high-impact areas of your account with new roll-up tabs on every page. You can see and edit keywords, placements or ads from all ad groups on a single tab. * In-line editing: Want to change a keyword or bid? Click on it and make changes in-line instead of loading a separate page. * Easier content network management: Improve content network performance on a new Networks tab. Look at statistics for the placements where your ads have appeared, then take action by setting unique bids or excluding placements directly from the report. However, keep in mind that the new interface doesn't change how ads run. Bidding, ranking, Quality Score, and the rest of ad serving are no different in the new interface. The new interface is still a work in progress, and not all features available in the previous web interface are currently supported. Beta testers can switch between old and new interfaces during the beta, so they still have access to the full range of AdWords tools and reports, if needed. To learn more, see videos of the new interface in action, and sign up for the beta test, visit our new AdWords interface website. For anyone who wants a simple explanation of how our AdWords auction works, check out this video from our chief economist, Hal Varian. It's a great summary of how we rank ads. , to provide public transit directions for the Perth metropolitan area. Then, last December, we partnered with Adelaide Metro to bring the service to Adelaide. Today we're pleased to announce that Google Transit has launched in its third Australian city, and is now available for the residents of Geraldton, Western Australia. If you live in Geraldton, we hope you'll find this service useful for day-to-day commuting, and reducing your reliance on your vehicle. If you're planning a visit to this hidden gem on Western Australia's Batavia Coast, you may want to use Transit on Google Maps to find your way to Geraldton's beautiful St Francis Xavier Cathedral, or the stunning HMAS Sydney II Memorial, or to see 90 tons of lobster at the Fisherman's Collective Lobster Factory! We'd like to thank our friends at TransPerth who have worked hard to make this service available to benefit their customers in Western Australia. Google Australia is partnering with public transit agencies around Australia to integrate their data with Google Maps. We first launched Transit on Google Maps almost exactly one year ago in partnership with TransPerth, to provide public transit directions for the Perth metropolitan area. Then, last December, we partnered with Adelaide Metro to bring the service to Adelaide. Today we're pleased to announce that Google Transit has launched in its third Australian city, and is now available for the residents of Geraldton, Western Australia. , our flagship program to introduce college and university students to open source software development, is now in full swing. Over the past four years, we've paired nearly 2,500 student "graduates" with more than 2,500 mentors from industry to academia, with some spectacular results: millions of lines of source code produced and over $15M USD (almost $22M AUD) in funding provided to open source development. We're particularly excited by the social ties our students participants form through the course of the program - we've connected people in more than 98 countries, and hope to bring people from even more places into the Google Summer of Code community this year. We're accepting student applications now through April 3rd. For more details, including how to apply, please see the Google Open Source Blog. 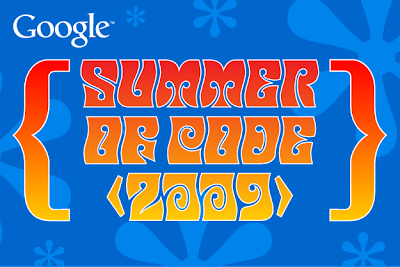 Google Summer of Code™, our flagship program to introduce college and university students to open source software development, is now in full swing. Over the past four years, we've paired nearly 2,500 student "graduates" with more than 2,500 mentors from industry to academia, with some spectacular results: millions of lines of source code produced and over $15M USD (almost $22M AUD) in funding provided to open source development. We're particularly excited by the social ties our students participants form through the course of the program - we've connected people in more than 98 countries, and hope to bring people from even more places into the Google Summer of Code community this year. Street View on Google Maps is a great way of visiting parts of Australia you've never seen before. Since it launched in Australia in August last year, travellers have been using it to check out destinations before they arrive; students have been researching geographical features and learning about cities across Australia and the world; and it become a useful tool for house-hunting. Last week we further expanded our Street View imagery in Australia so you can visit even more cities, towns and rural areas. In particular, we've included new imagery in parts of Sydney, around Port Lincoln in South Australia, in rural New South Wales, and in many parts of Queensland including wilderness areas around the Staaten River national park, and around Taylor's Beach, Tweed Heads, and Cairns. If your neighbourhood missed out when Street View launched, head online to check whether it appears in the latest update. In addition to adding imagery to Australia, last week we also launched Street View on Google Maps in the UK. The UK is a favourite travel destination for Aussies, whether they're going to visit family or heading off on a working holiday, and now you can check out famous landmarks like Big Ben and the Houses of Parliament before you set off on your trip.